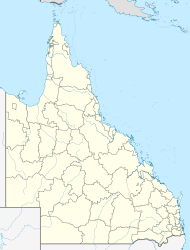 Bokarina is a coastal suburb of Sunshine Coast Region, Queensland, Australia, located within the Kawana Waters urban centre. The name Bokarina was bestowed at the request of the land developer, Alfred Grant Pty Ltd, in the belief that the name was an Aboriginal expression indicating middle i.e. half-way along the Kawana Waters land-development scheme in 1969. In the early 1980s, Bokarina emerged as Bokarina Beach, with an initial subdivision between the foreshore reserve and the sports complex on Nicklin Way. Kawana Waters State High School opened 28 January 1986. Bokarina State School opened on 27 January 1987. On 1 January 2006 the two schools was amalgamated to form Kawana - Bokarina State College, which was renamed on 3 March 2006 to become Kawana Waters State College. In the 2011 census, Bokarina recorded a population of 1,235 people, 50.9% female and 49.1% male. The median age of the Bokarina population was 38 years, 1 year above the national median of 37. 81.8% of people living in Bokarina were born in Australia. The other top responses for country of birth were England 5.1%, New Zealand 4.7%, Philippines 0.6%, Scotland 0.5%, Germany 0.5%. 93.9% of people spoke only English at home; the next most common languages were 0.6% German, 0.6% Mandarin, 0.4% Tagalog, 0.4% Cantonese, 0.3% Punjabi. ^ Australian Bureau of Statistics (31 October 2012). "Bokarina (State Suburb)". 2011 Census QuickStats. Retrieved 29 April 2013. ^ a b "Bokarina (entry 47166)". Queensland Place Names. Queensland Government. Retrieved 25 April 2014. ^ "Opening and closing dates of Queensland Schools". Queensland Government. Retrieved 26 April 2014. ^ "Agency ID10610, 25 April 2014". Queensland State Archives.